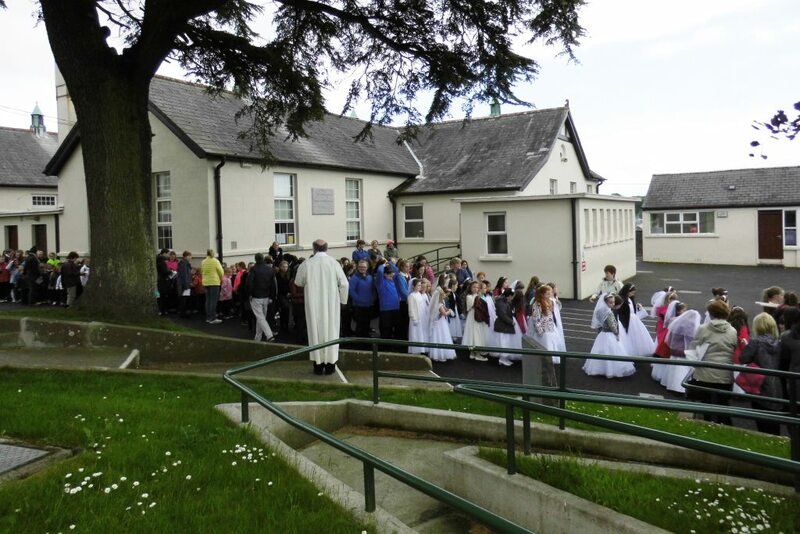 On Tuesday last, June 2nd we held our annual May Procession. 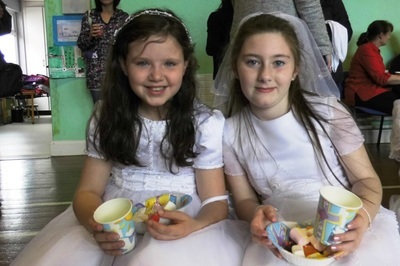 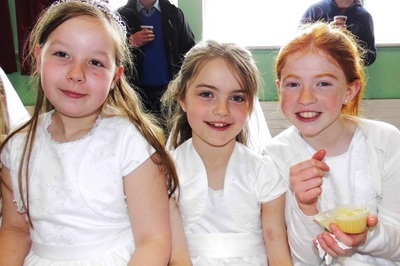 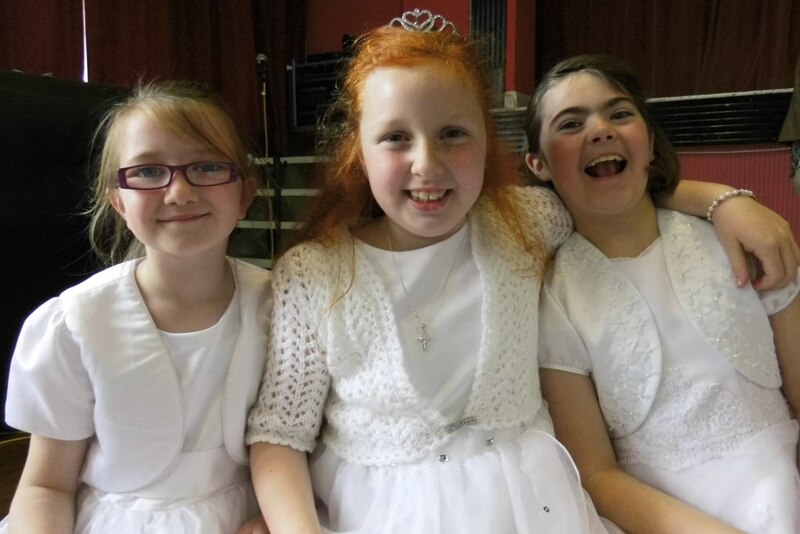 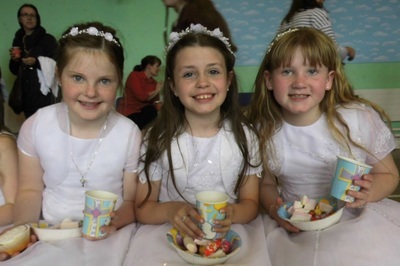 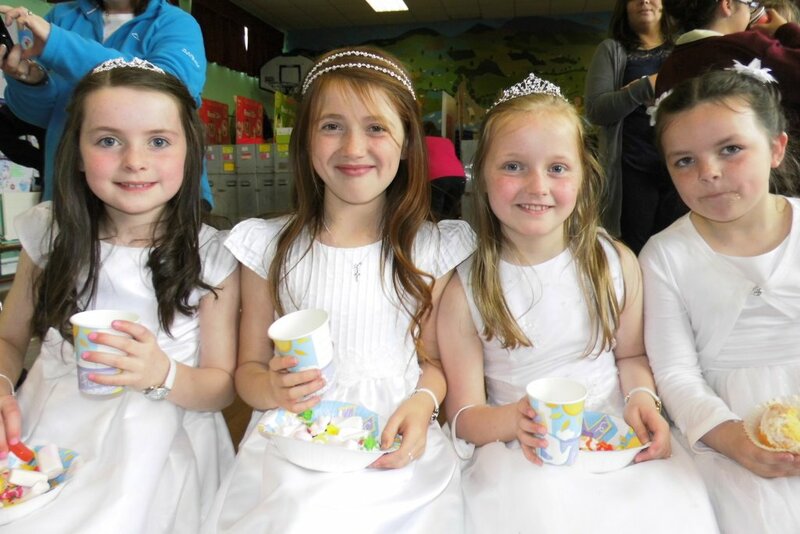 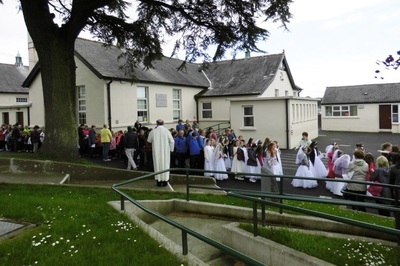 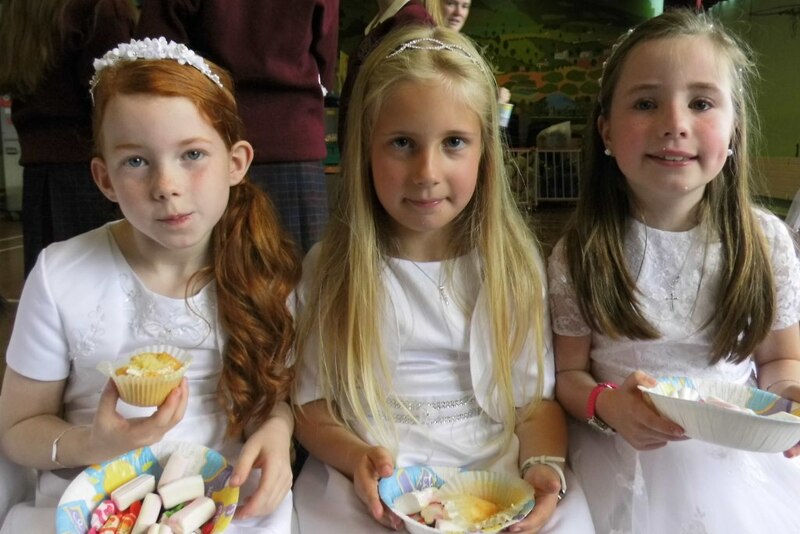 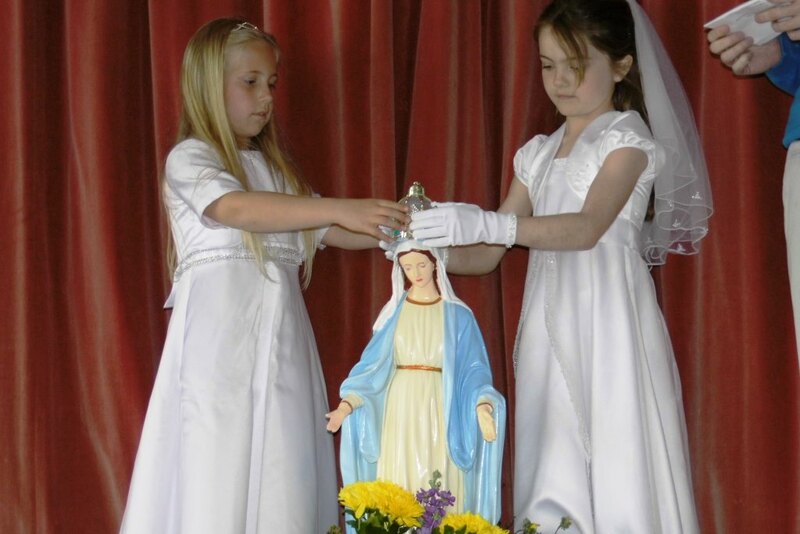 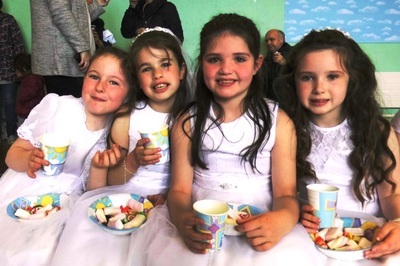 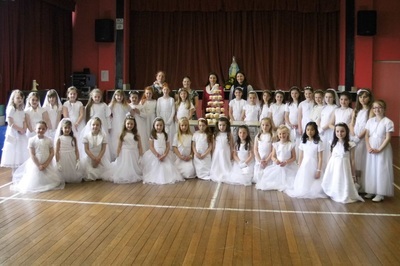 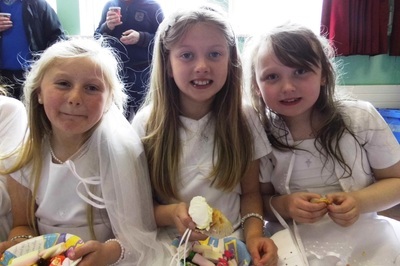 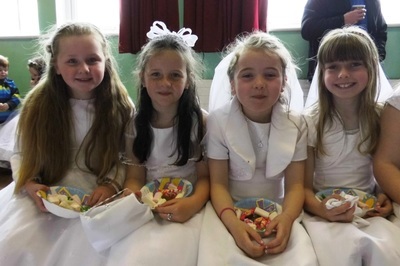 This has traditionally been held on the next school day following the First Holy Communion and with the Communion having taken place on the final Saturday in May, this year, our May Procession was carried into June. 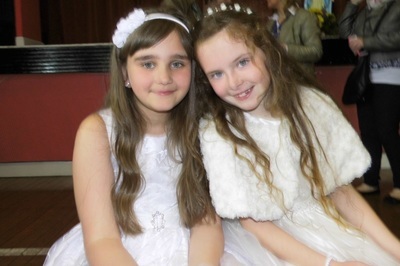 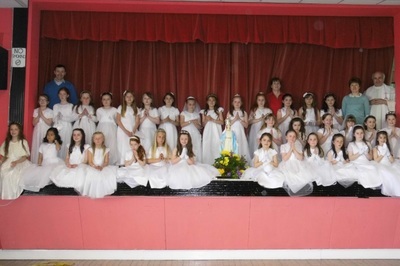 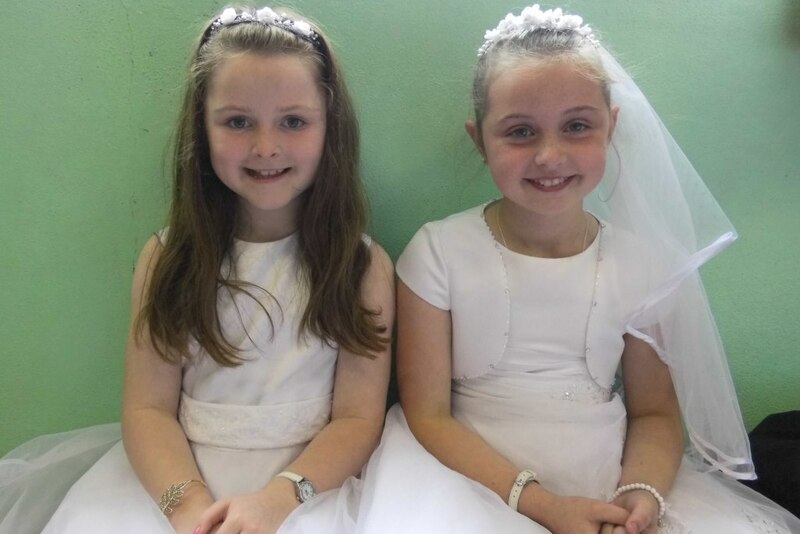 On the day the Communicants wore their beautiful dresses and 6th class once again wore their secondary school uniforms. We were blessed with the weather with the sun breaking out half-way through. 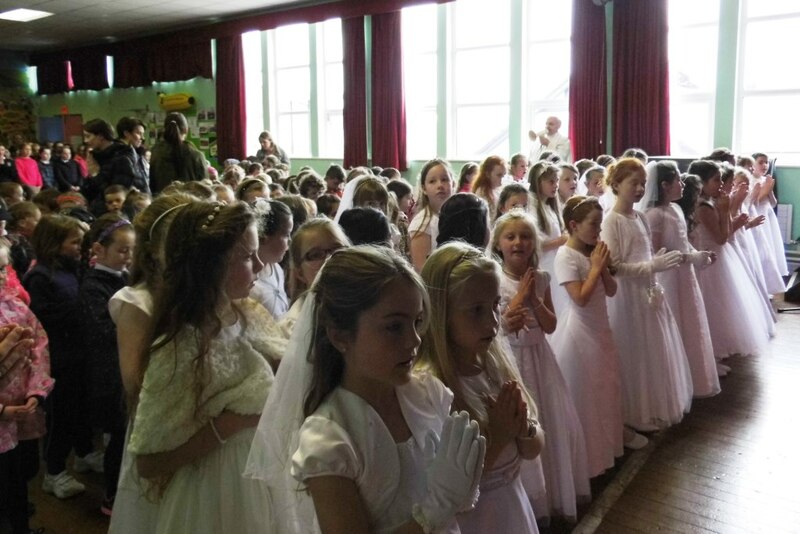 We were led in prayer by Canon Fitzgerald while Ms Hayes co-ordinated the singing. Once the Procession was over a party was held in the Halla for the girls in 2nd class who had made their Communion. 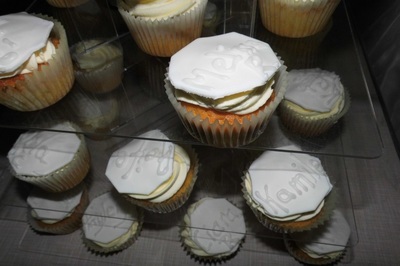 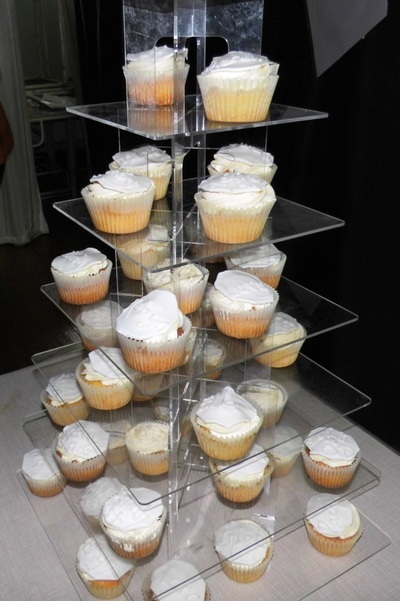 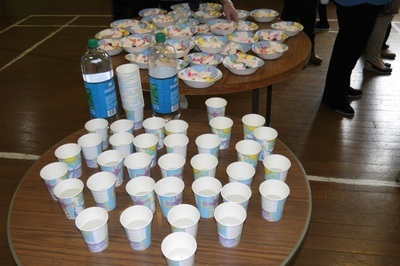 A massive thanks to the Parents Council who organised the refreshments, treats and personalised cupcakes for all the girls. 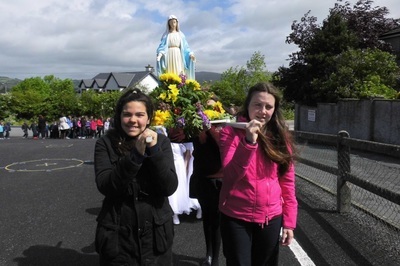 Some photos of the procession and party are included below. 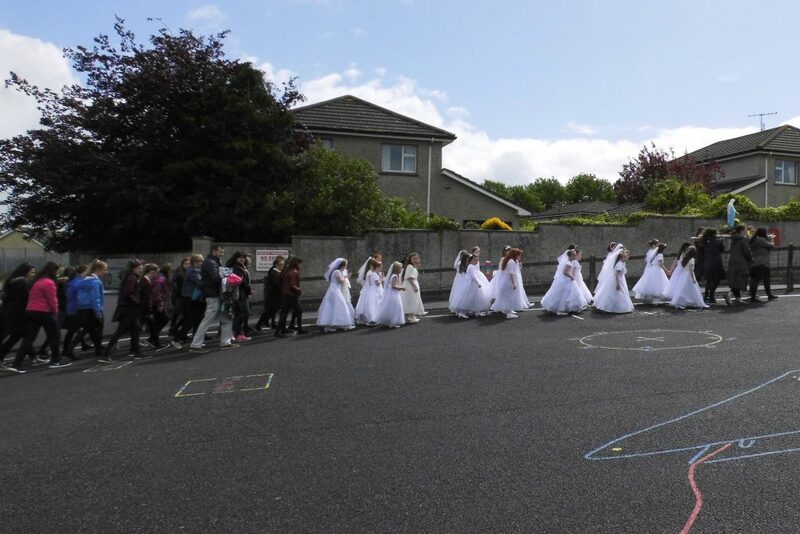 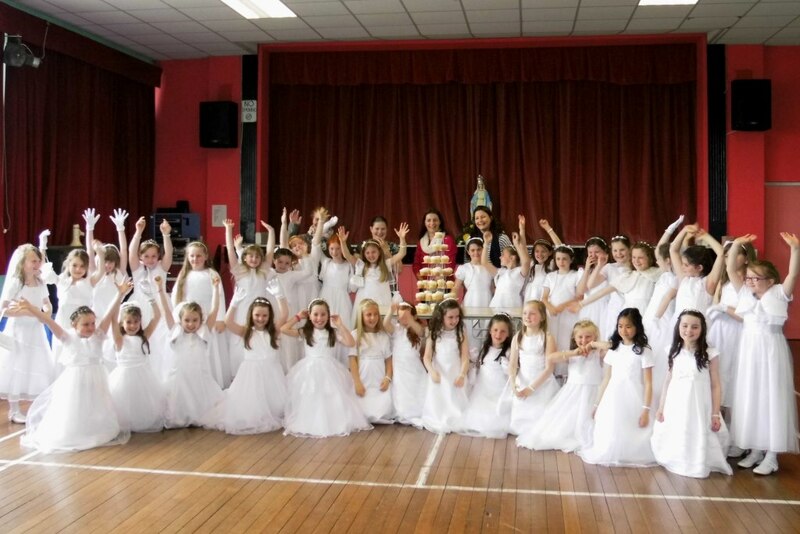 Finally, everyone in Bunscoil na Toirbhirte would like to congratulate the 35 wonderful girls who make their First Holy Communion in the Parish Church last Saturday. Well done to all involved in making the ceremony such a special occasion, in particular the 2nd class teachers Ms Coughlan and Mr Quinlan who have worked with the girls to prepare them for their big day. Huge thanks to all involved with the choir on the day, especially the girls in 3rd and 4th class, their class teachers, and the ever-talented Ms Hayes, Ms Watson and Ms Horgan who led the choir on the day. 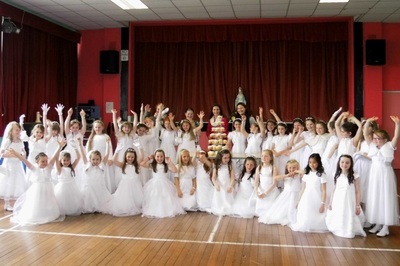 It was a very special and memorable day!